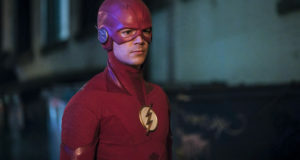 In an interview with TVGuide.com to promote the finale, Grant Gustin may have dropped a big spoiler bomb: Like the comic books that inspired the series, The Flash may soon be playing with multiple universes and timelines. Could this photo of Jay Garrick’s helmet, from behind the scenes of the Legends of Tomorrow, have anything to do with it? But no, The “Tom Welling shows up as Superman” thing is still a made up story…. In any event, we should have a better idea of what Grant is talking about when the season finale of The Flash airs at 8PM ET TONIGHT on The CW. 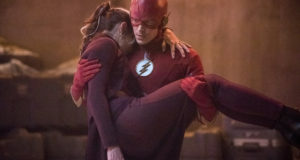 Next: The Flash Season 1 Is Over; What’s Next? I would LOVE it if somewhere down the line we got a visit from the SMALLVILLE-Verse’s Clark, Lex, Bart Allen or Oliver Queen. I’d even say get in Justin Hartley’s Aquaman ( double role ) into the mix. It could be a great “event” episode. 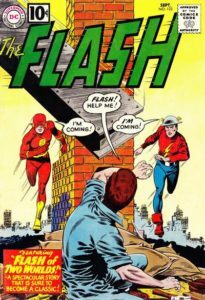 Jay Garrick and the pre-crisis JSA would be a dream come true for me and fans everywhere. I love the direction this series has gone, and I think there must be some kind of transmutation going on. From such chemistry, turned into gold.